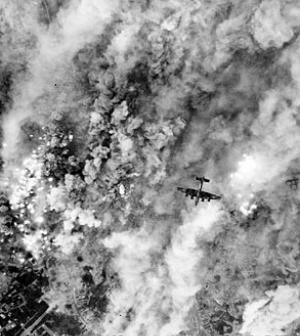 Operation Charnwood was a Second World War Anglo-Canadian offensive that took place from 8–9 July 1944, during the Battle of Normandy. 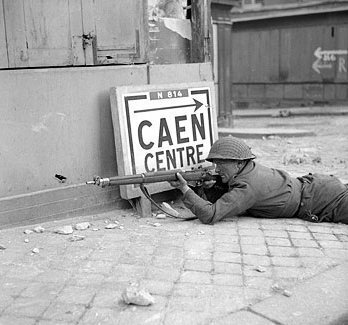 The operation was intended to capture the German-occupied city of Caen, which was a major Allied objective during the opening stages of Operation Overlord. 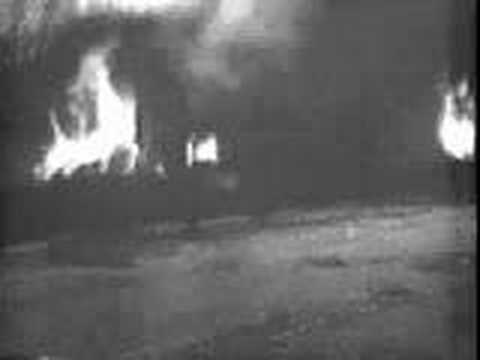 It was also hoped that the attack would pre-empt the transfer of German armoured units from the Anglo-Canadian sector to the lightly-screened American sector, where the eventual Allied breakout was to be made. 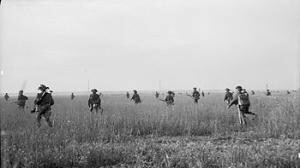 The British and Canadians advanced on a broad front and by the evening of the second day had taken the northern half of Caen, up to the Orne and Odon rivers. 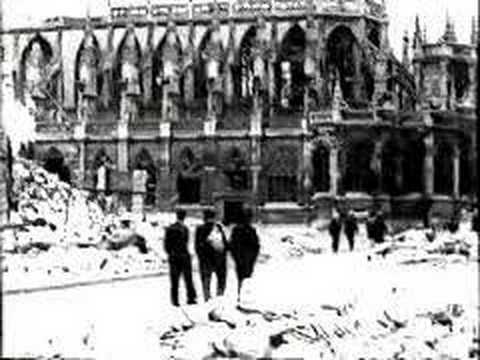 Preceded by a controversial bombing raid that destroyed much of Caen's historic Old City, Operation Charnwood began at dawn on 8 July, with battalions of three infantry divisions attacking German positions north of Caen behind a creeping artillery barrage. 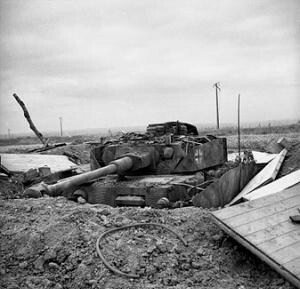 Supported by three armoured brigades, the forces of the British I Corps made gradual progress against the 12th SS Panzer Division Hitlerjugend and 16th Luftwaffe Field Division. 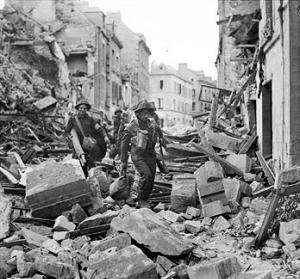 By the end of the day the 3rd Canadian and British 3rd and 59th (Staffordshire) Infantry Divisions had cleared the villages in their path and reached Caen's outskirts. Moving into the city at dawn the following morning, the Allies encountered resistance from remnants of German units who were beginning a withdrawal across the Orne. 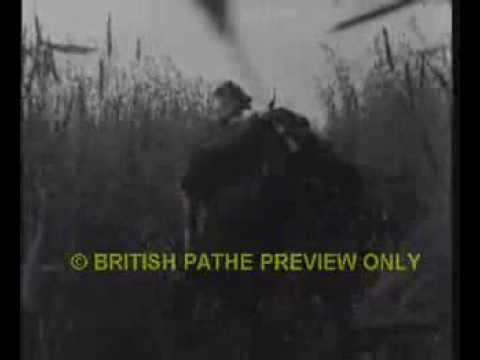 Carpiquet airfield fell to the Canadians during the early morning and by 18:00, the British and Canadians had linked up and were on the Orne's north bank. Discovering Caen's remaining bridges to be defended or impassable and with German reserves positioned to oppose their crossing, I Corps closed down the operation. With northern Caen's capture and the heavy casualties inflicted on the two German divisions defending the immediate sector, Operation Charnwood was a tactical success. Operationally, it achieved mixed results; although it forced the Germans to pull back all formations north of the Orne River, it did not stop the flow of formations to the American front. 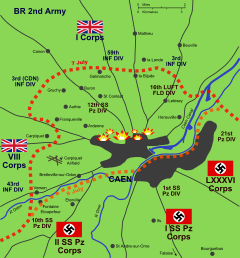 The Germans were able to establish a strong second defensive line along two ridges to the south of the city but the Allies maintained the initiative and launched the simultaneous Anglo-Canadian operations Goodwood and Atlantic a week later, during which the rest of Caen was secured. Operation CHARNWOOD called for 59 Division to join I Corps at the center of the line between 3rd Canadian Division and 3rd British Division. With all three divisions attacking simultaneously, assisted by massive artillery and naval support fire, the defenders would, in theory, be overwhelmed.